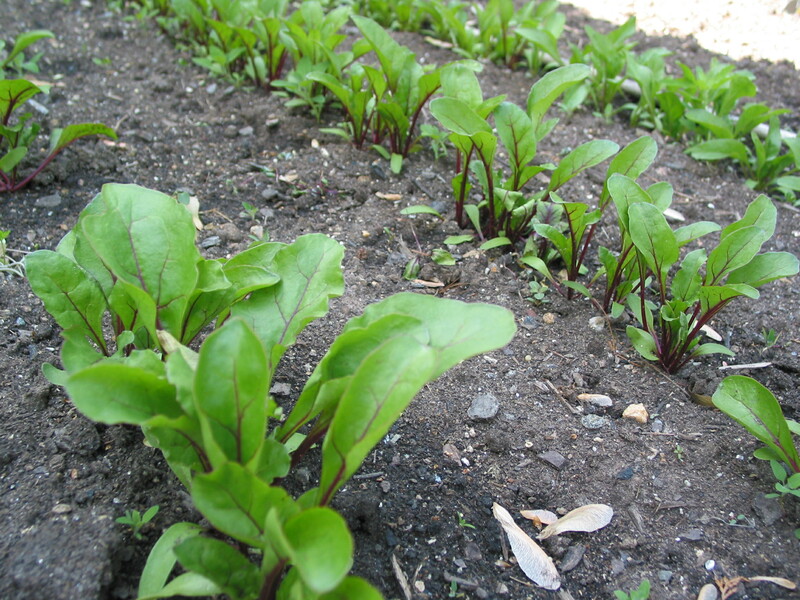 Beets are bustin’ out all over. We’ve got three kinds: Red Ace, Early Wonder and Cioggia. God forbid all those tiny little plants turn into beets. We’ll have to open a beet sugar refinery…for a day. Well, maybe a half day. Ok, maybe a half an hour. Regardless, that could be an embarrassment of beets.